How to increase Alexa rank? For those of you who do not know what is Alexa rank and its benefits, you should read the previous posts. In short, Alexa rank is the ranking of a website based on traffic. With high ratings, we will gain more trust from visitors. Therefore, many ask how to improve alexa rank. Then how to increase the Alexa rank of a website? Besides looking for traffic or visitors, there are also other ways to do it. 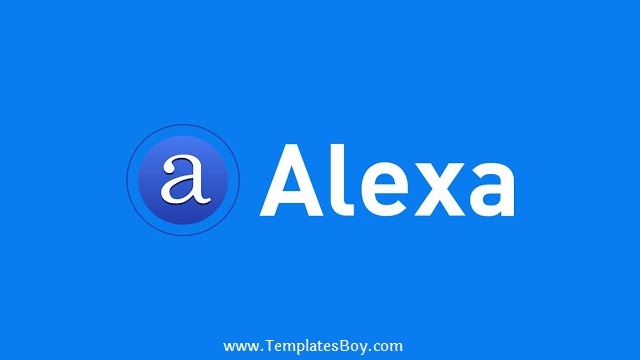 The following tips from Templates Boy which is important enough to make alexa ranking higher. Diligent blog updates means creating pages continuously. A website should regularly publish pages or writings. For that, if your website only focuses on selling a product, create a blog (for example: "blog.domain.com" or "domain.com/blog") on the website. That way you can make articles regularly. We recommend that articles be made not by copying someone else's. In addition, make a quality article, which means original and is helpful or beneficial to the reader. In addition to the need to increase Alexa rank, this is also favored by search engines like Google. Google will be happy with a fresh website, which is a website that regularly creates new pages. This is the most important thing in an effort to improve Alexa rank. Alexa will calculate web traffic and pageviews to be ranked parameters. For that if you really seriously want to increase Alexa rank, look for the end as much as possible. Then how to find a large number of visitors? Many ways can be done for that. One of them is by applying the right SEO techniques. If the website is good in search engine optimization, visitors will flood the website. With a note, must make many quality and sought after articles. Because with the large number of articles, the chances of the website appearing in search engines will also increase. Besides SEO, there are many more tips that can be done to bring visitors. Alexa through his blog suggested to look for backlinks from sites related to the site (related site). This is one way that can be done to improve Alexa rank. One way that can be done to get backlinks is to comment on other people's blogs, both dofollow and nofollow blogs. The best way is to comment on blogs that have topics that are similar to websites that are owned. In addition, other ways to get backlinks can be by exchanging links. But remember that backlinks must be obtained from relevant sites (similar in niche or topic) and not done excessively. Because exchanging links with sites that have no relevance can be considered spam by google. This can affect the position of the website on the google SERP. To find out various errors in getting backlinks, see articles directly from Google about Link Schemes. Besides being able to influence Alexa ranking, getting backlinks in large numbers and quality also affects SEO. Google will see the relevance of a website's backlinks. Thus the position of your website on search engines will get better. Put a alexa rank widget on your website or blog. Install the alexa toolbar in the web browser. Those are some ways that can be done to improve Alexa rank of a website. Do these three tips with the best possible to get good results. May be useful.